Editor's Note: This story was updated on Monday, April 16. 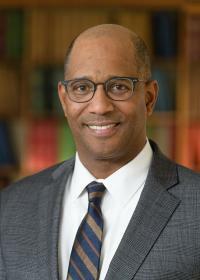 The president of Carney Hospital will soon leave his position to begin a new role as president and CEO of Rogerson Communities, a non-profit that specializes in providing health care and affordable housing to low-income elders and families Greater Boston. Walter Ramos, who joined Carney in July 2015 after a three-year stint as the CEO at Dot House Health in Fields Corner, will begin his new role in July. He is presently still serving as president at Carney. On Monday, April 16, a spokesperson for Carney Hospital told the Reporter that Ramos will be replaced at Carney "on an interim basis" by Tom Sands, former COO of Good Samaritan Hospital. Sands "will start working on the transition with [Ramos] immediately. Ramos, 55, will succeed Rogerson’s current President and CEO, James F. Seagle, who led the organization for 45 years. Seagle will take on a new role at Rogerson," advocating on a national level for funding production of affordable housing." Rogerson manages "over 29 properties and programs" worth more than $500 million.